For military veterans looking for Boston condos for sale in downtown Boston, a VA home loan is often considered the best mortgage program available. It offers features that are difficult or even impossible to find with other mortgage options, including 100 percent financing, no requirement for private mortgage insurance, and a higher allowable debt-to-income ratio than most loans permit. With that said, VA mortgages do come with drawbacks. Here are the most important pros and cons you should know before taking out a VA mortgage. A conventional or FHA loan requires monthly mortgage insurance premiums if the down payment is less than 20 percent. With a conventional home loan, this is called private mortgage insurance (PMI). With an FHA loan, it comes in the form of an up-front mortgage insurance premium paid at closing and an annual premium added to each monthly payment. Mortgage insurance can easily add $100, $200, or more to mortgage payments, and it offers no benefit to the homeowner. This insurance only protects the lender in case of default. The VA loan is one of the few mortgage programs that allows 100 percent financing, which means no down payment is necessary. Because the down payment is one of the biggest hurdles for many home buyers, this makes qualifying for a mortgage easier. Still, the funding fee associated with a VA mortgage is higher for borrowers with no down payment. To get the lowest fee, you should try to put down at least 10 percent. One of many factors a lender considers is the ratio of your total monthly income compared to your monthly debt payments. With an FHA loan, borrowers are typically limited to a debt ratio of 31 percent on the front end, which refers to housing debts like the mortgage payment and property taxes, and 43 percent on the back end, which considers all monthly debts such as the proposed mortgage payment, credit card payments, car loans, and more. Conventional loans usually have similar limits. For a VA loan, lenders only consider the back-end ratio, and there’s no mandated maximum DTI ratio. Veterans can qualify with a DTI of 41–43 percent or higher. VA loans come with an important drawback: the funding fee. This fee is unique to VA mortgages, and it’s a flat fee that may be rolled into the loan or paid at closing. This funding fee depends on the nature of service, whether the benefit has been used before, and the size of the down payment, if any. Regular military members enjoy slightly lower funding fees than National Guard members and reservists. When the benefit is used for the first time, the funding fee can be as low as 1.25 percent of the loan amount with a down payment of at least 10 percent or 2.15 percent with no down payment. VA loans are assumable, which means down the road, the homeowner can sell their Boston downtown home and the buyer will assume the loan with the same interest rate and payments, which can be a big selling point for a VA borrower. If the home is later purchased by another veteran buyer, the homeowner’s full VA loan benefit is returned. The downside comes if a civilian buys the home and assumes the VA loan. The remaining amount of the seller’s VA entitlement remains with the loan and won’t be returned until the loan is paid off, which can be a problem if the seller wants to buy a new Boston Boston home with the VA entitlement. 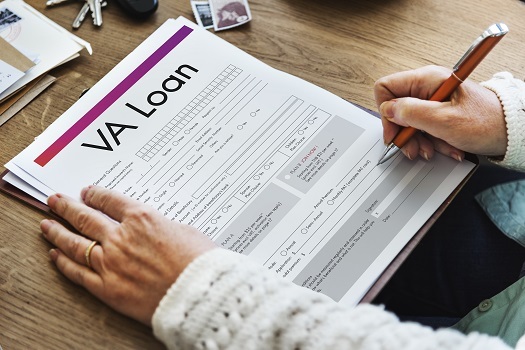 VA loans are a great option for a lot of veterans, but they aren’t right for everyone, so make sure to carefully research all your financing options before you choose. It’s also important to work with realtors who have experience with the various financing options available for real estate in downtown Boston. The professionals at Ford Realty can help you find the home of your dreams, and they’ll work with you during every step of the home-buying process. Call one of our friendly agents today at 617-595-3712.